These plants are top performers; a few roots will last a lifetime! 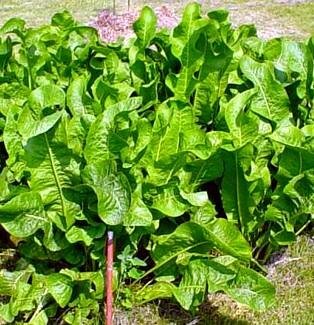 Zones 4-8 The root is harvested in the spring and fall Bohemian Horseradish is a Czechoslovakian variety that is very disease resistant. Horseradish Roots Potted in 4" pot. We have selected the strain "Big Top" for its size, vigor, wide adaptability and resistance to diseases. These plants are top performers; a few roots will last a lifetime! Zones 4-8. The root is harvested in the spring and fall and sold in 1200 pound pallets to processors who grate the root releasing the volatile oils that distinguish horseradish from all other flavors. The ground horseradish is then mixed with distilled vinegar to stabilize the "heat." This basic formula, which varies from processor to processor, may also contain spices or other ingredients ...salt, sugar, cream or vegetable oil. But, generally speaking, horseradish and vinegar are the primary constituents in the basic prepared horseradish on the market today. What Makes Horseradish Hot? Horseradish is a member of the mustard family (sharing lineage with its gentler cousins, kale, cauliflower, Brussel sprouts and the common radish) and is cultivated for its thick, fleshy white roots. The bite and aroma of the horseradish root are almost absent until it is grated or ground. During this process, as the root cells are crushed, volatile oils known as isothiocyanate are released. Vinegar stops this reaction and stabilizes the flavor. For milder horseradish, vinegar is added. Hardy in zones 4-8. Bohemian Horseradish is a Czechoslovakian variety that is very disease resistant.